You love to create, but getting your clothing ruined from paint and other materials is no fun. 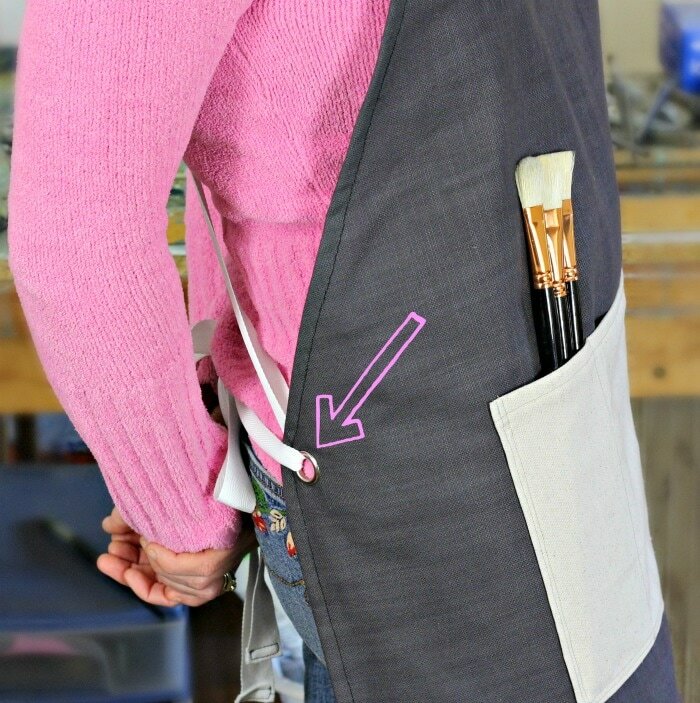 That is why an artist's apron is essential, but is it practical and durable? ​And most importantly is it comfortable to wear for hours on end? Large eyelets make tying up the apron string quick and easy. 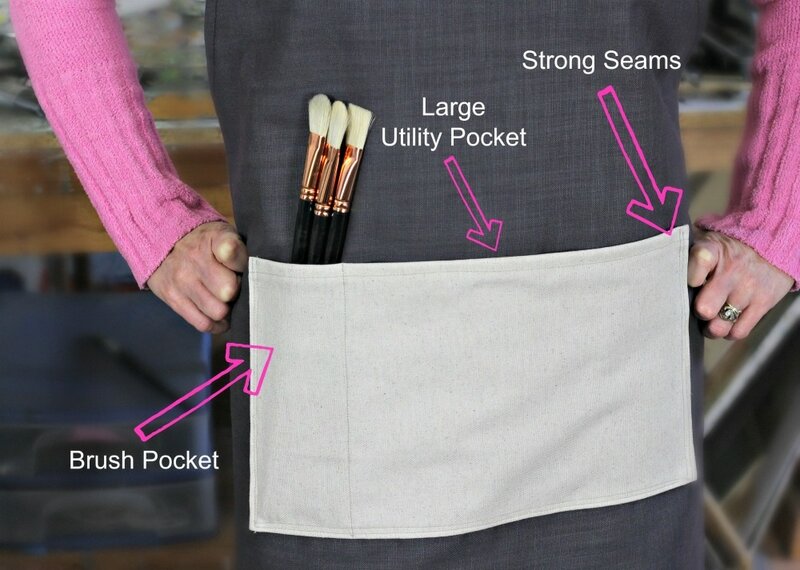 The Apron string is long enough to fit most sizes with ease. Suitable for men and women. 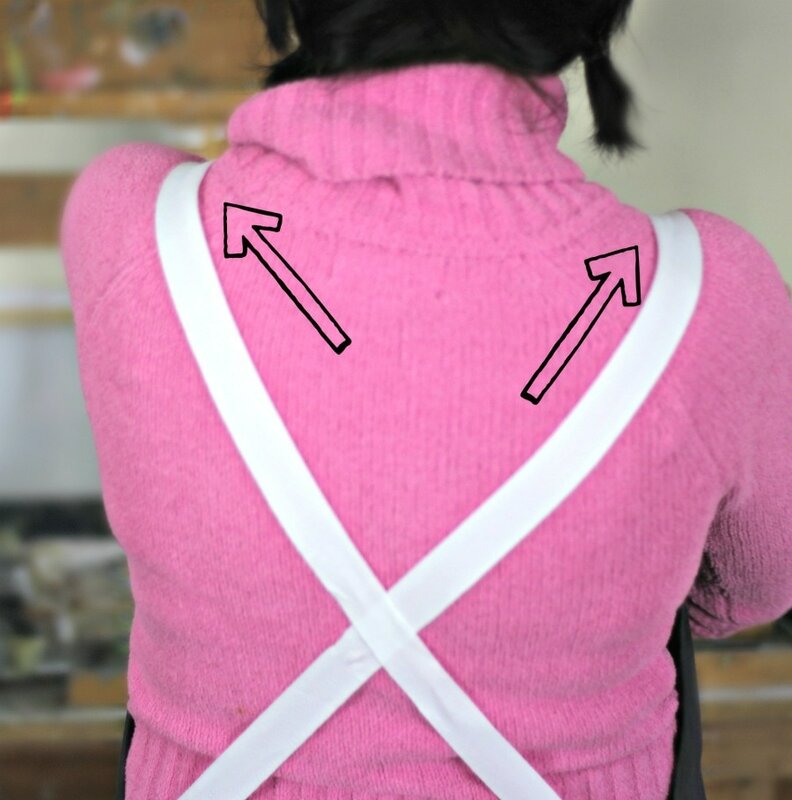 Perhaps the best feature of all is that the apron string extends over the shoulder. No more uncomfortable pulling on the neck and constantly adjusting the apron string. Simply complete the order form below with your options. Payment by EFT or credit card. Delivery by registered mail is included in the price. Prices - Introductory Special Price!